Athletes carry a wide range of emotions after competing. From being frustrated and disappointed by their performance in a loss to absolute joy and elation when they win. Whatever the outcome, odds are you’ve experienced each end of the spectrum based on the result. Now, whether those results were good or bad, taking the time to digest, dissect, and eventually elaborate on those feelings is a proven effective way for competitors to track their progress. Say, for example, you just lost a heat. Athletes shouldn’t spend time beating themselves up for how they performed. Reflecting on that performance and moving forward and onto what’s next, however, is what they should be doing. It’s also recommended to speak (or write) to yourself kindly in this period as if you were talking to a dear friend. And when being blunt and telling it like it is, it’s always good practice to end with something positive. For example, take a surfer who loses their heat and goes straight to their journal with, “It was a tough heat and I am not satisfied with my results.” This statement isn’t action-oriented. It only reinforces the negative feelings that you might be experiencing. An action-oriented version of this would be something like, “It was a tough contest and I’m not satisfied with my results, but I’m going to use the loss to reflect and review my performance, learning a little bit more about how I can do better next time.” This “redemptive storytelling,” while not too specific, gives that extra action-oriented angle to your loss. Sure, the result may not have changed but what you’ve done is opened up the mindset that there’s still more to accomplish and more to do. The loss itself is already in the past and just by writing down that you’re going to take steps toward improving, you’ve set in your mind that there is a new task at hand. 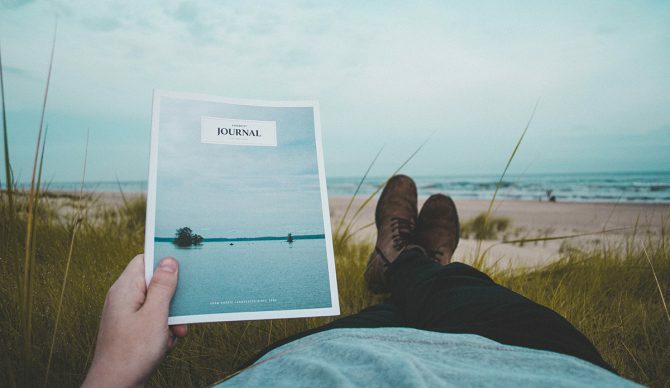 Journaling seems simple and you may not associate it with surfing, but it is a “form of feedback” loop that can completely change outcomes, improve your general mindset, and improve your performance.